This may be quite an embarrassing experience for the Trinamool Congress but this is for the first time since the first state assembly elections in 1951 that there will be no MLA of the ruling party from the district that was the capital of the state in the medieval period. It is an awkward instance because Malda MLAs not only served as the ministers of crucial state departments but the district enjoys the pride of offering the state its one of the chief ministers – Siddhartha Sankar Ray. At the same time Malda, the gateway of North Bengal will have no presence in the state council of ministers after long 25 years. Realizing the practical inconveniences for a district without a minister, the officials of Malda Merchant Chamber of Commerce (MMCC) have urged chief minister Mamata Banerjee to include Nihar Ranjan Ghosh, the independent MLA from English Bazaar in her cabinet. According to the political observers, it never happened before that the state’s ruling party did not have an elected member of the assembly from Malda. MLAs from the district also served as the ministers of crucial departments of the state. Rather Sourendra Mohan Mishra, a Congress MLA from the district served as the minister of state for the department of education from 1962 to 1967 when Prafulla Sen was the chief minister. He was succeeded by Golam Yazdani, an independent MLA from Kharba constituency. Yazdani was the minister of state for the home affairs department in the ministry of late Ajay Mukherjee. Rajendralal Singha Singhi was a member of the state cabinet as the minister of state for transport department. 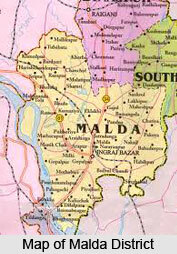 Siddhartha Sankar Ray, the chief minister of the state was elected from Malda constituency. The district was then the centre of power in the state as ABA Ghani Khan Choudhury was the minister-in-charge of two most important departments – electricity and irrigation. No Left Front MLA from the district was a member of the first cabinet of Jyoti Basu from 1977 – 1982. But during the second term of Left Front between 1982 and 1987 Sailen Sarkar, an MLA from English Bazaar was inducted as the minister of state for the municipal affairs and urban development department. Malda remained without a minister when Basu ran his third cabinet from 1987-1991. Subodh Choudhury (minister of state, department of transport) from 1991-1996, Birendra Moitra (minister-in-charge, department of agri-marketing) from 1996-2001, Sailen Sarkar (minister-in-charge, department of food processing and horticulture) from 2001-2006 and again from 2006-2011 (minister-in-charge, departments of parliamentary affairs and environment), Sabitri Mitra (minister-in-charge, departments of women and child development and social welfare) from 2011-2016 and Krishnendu Narayan Choudhury (minister-in-charge, departments of tourism and food processing and horticulture) from 2012-2016 raised the voices of Malda in the state cabinet. But Trinamool could not win a single assembly seat this time and the possibility of the district’s representation in Mamata Banerjee’s second cabinet is virtually nil.